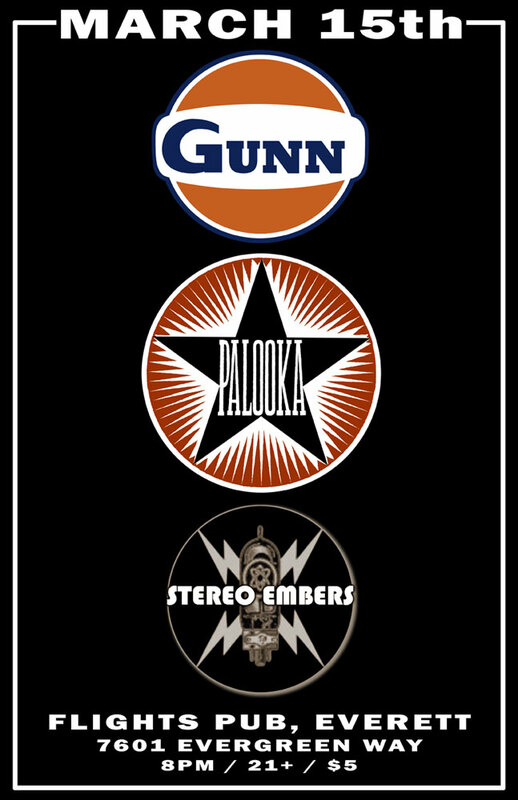 PALOOKA returns to the Nectar Lounge in Fremont August 22nd with an amazing line up of some of Seattle's best. This is the show of the summer not to miss! Some fun recording updates for youi all, we now have 10 songs picked, and a studio picked. We are working to record the second full length PALOOKA release this fall. Our next exciting night is Friday August 22nd at Nectar. 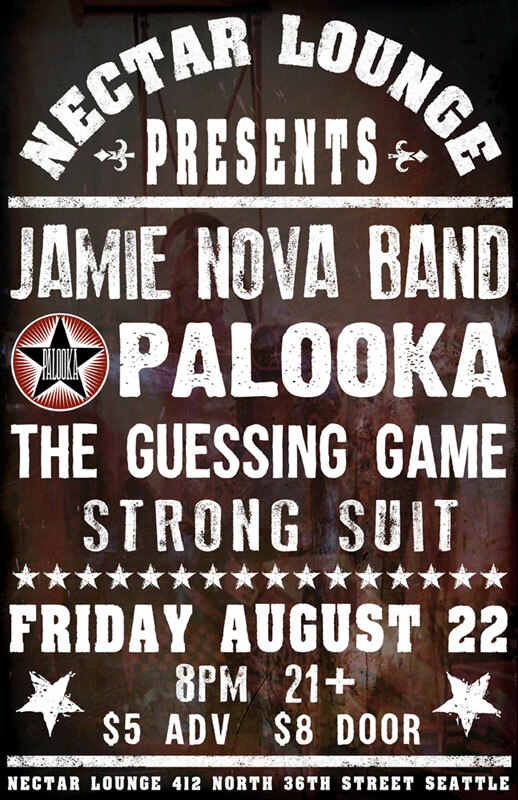 Come out and enjoy a fun night of music with 4 great bands, Jamie Nova, PALOOKA, The Guessing Game and Strong Suit! 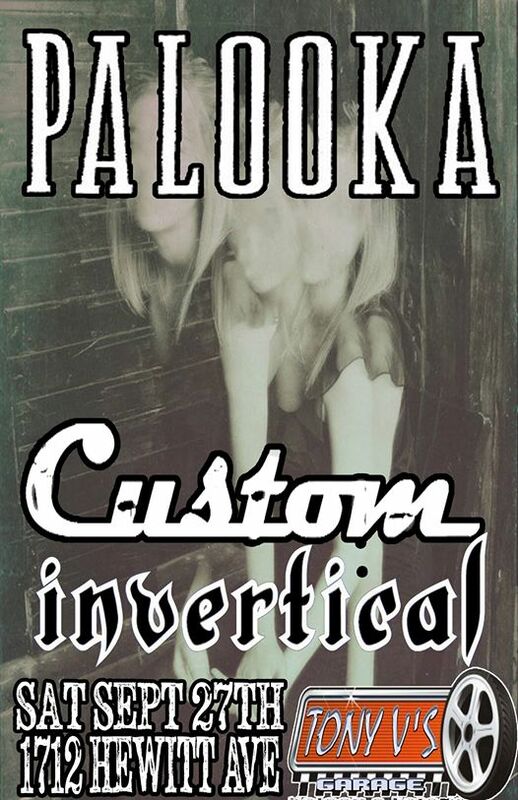 Just announced, PALOOKA returns to Tony V's in Everett with Custom on Sept 27th. Happy Independence Day to all of you in the USA. Please don't blow your pretty faces off. Be safe, have fun, and rock your independence! 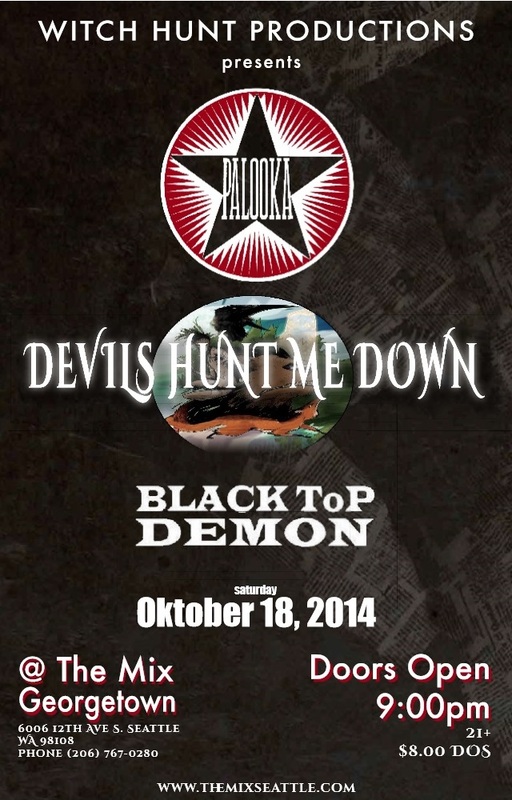 6-27-14 PALOOKA BJ's Band of the Week on KISW! Hey kids, look who is BJ Shea's band of the week this week on KISW, your fav big thick rock PALOOKA! PALOOKA is proud to be playing Live 6-28 as part of KISW's Men's Room Redfest, get tickets and details here. 6-22-14 Paul on KISW Radio Tonight! PALOOKA's Paul Passarelli joins Jolene and folks from the other Redfest bands on KISW's Loud and Local tonight at 11pm 99.9FM Seattle or on the web at http://www.kisw.com/pages/5802095.php.